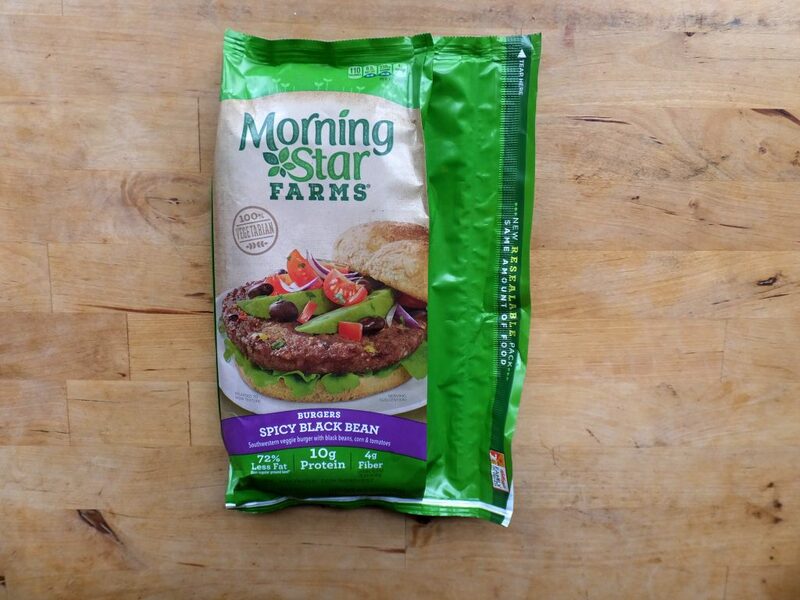 Black bean veggie burgers are the most fundamental of all veggie burgers, they come in the vegetarian starter kit along with tofu and an iron deficiency. There’s a chance you even have a few in the back of your freezer. Well dust those old, expired veggie burgers off, it’s time for another Veggie Burger Battle. 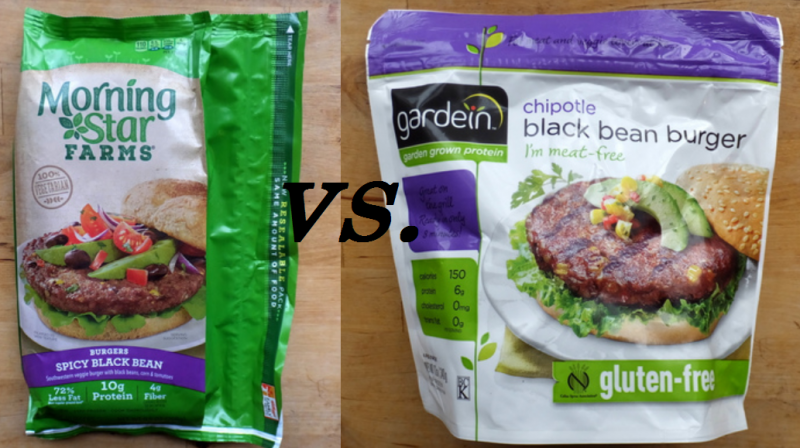 This week I will be comparing Gardein’s Chipotle Black Bean Burger with Morning Star’s Spicy Black Bean Burger. They look like essentially the same product and no one, not even my worst enemy, should eat a sub par burger when there is a slightly better option in the same grocery aisle. 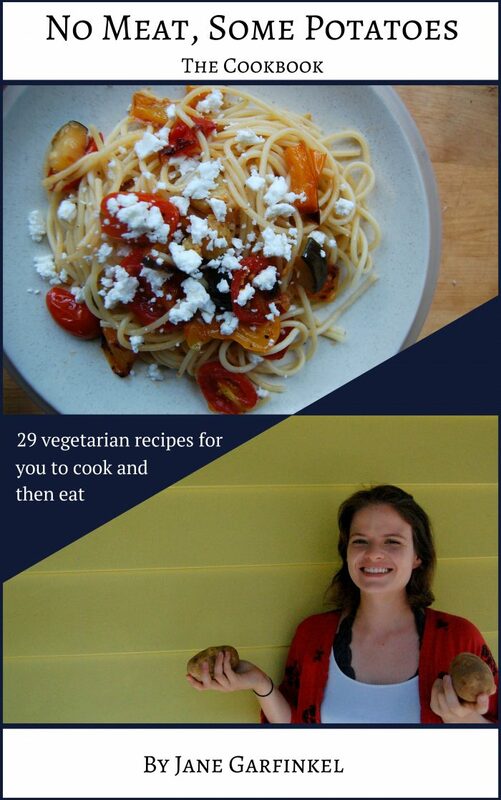 Allez cuisine! Sidebar: It’s been raining in DC for the past two weeks. I’m not the most active human, I don’t “do pilates” or “take the stairs,” but I walk to work so rain is pretty bothersome. This is in part because I do not “own an umbrella.” Spurred by the weather I’ve become an expert in how to ride the bus. A whole public transportation option is now in my arsenal, and a whole new opportunity for laziness is now just $1.75 away. Anyway, due to the gloomy clouds these pictures aren’t the best. Sorry! Also, I’m not saying that all veggie burgers look alike, but these two really do. I did my best to keep them properly identified, but for all I know this entire post could be a Switched at Birth situation. 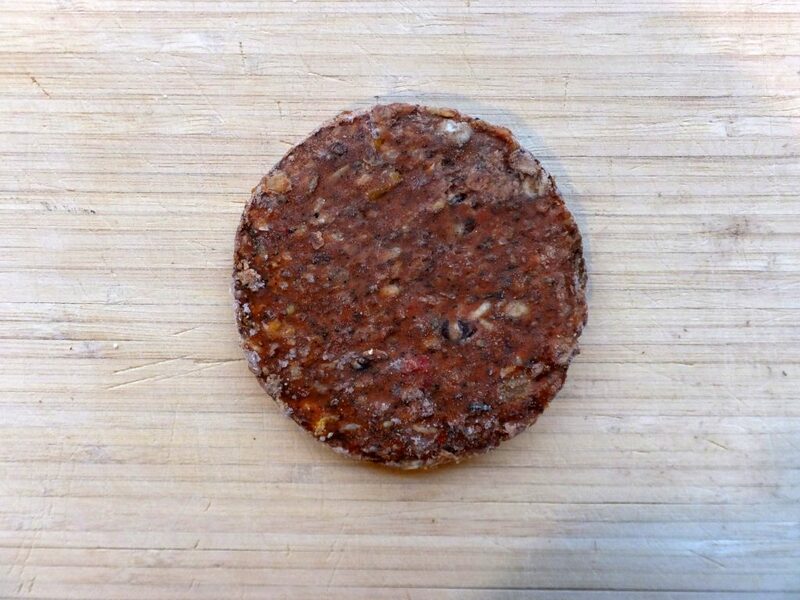 Here is the frozen Gardein burger. Lacking discernible features, this burger could get away with minor theft pretty easily. I sauteed the burger for about five minutes on each side, and then took a bite. It’s very soft with a uniform texture, despite the random corn and rice parts. The outside didn’t crisp up in a satisfying way, I probably should have cooked it longer. The overwhelming flavor, or the Beyonce, is salt, with some spice to back it up, the Kelly and Michelle. This burger is clearly not just a pile of beans, but I’m not sure what it actually is. If anything it tastes meaty and beefy, with a hint of something artificial. 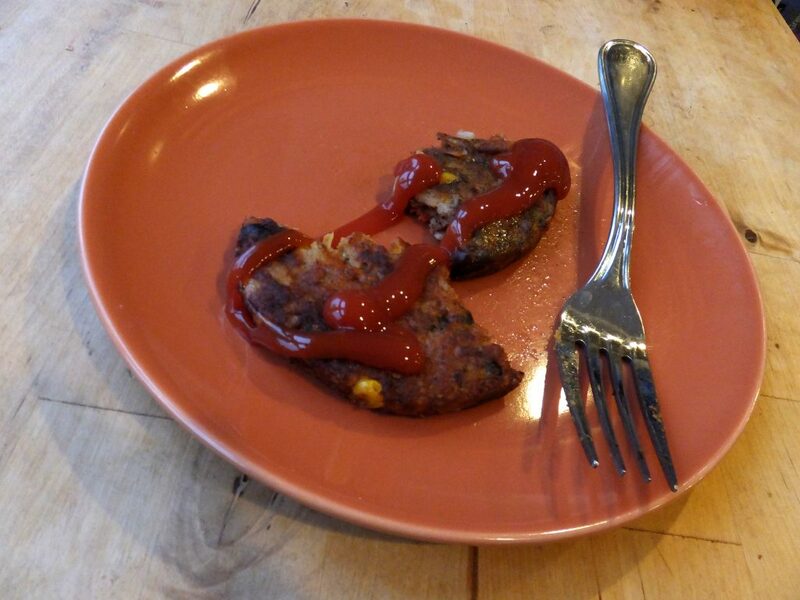 I’m really not into it, especially eating it straight without bread or ketchup. 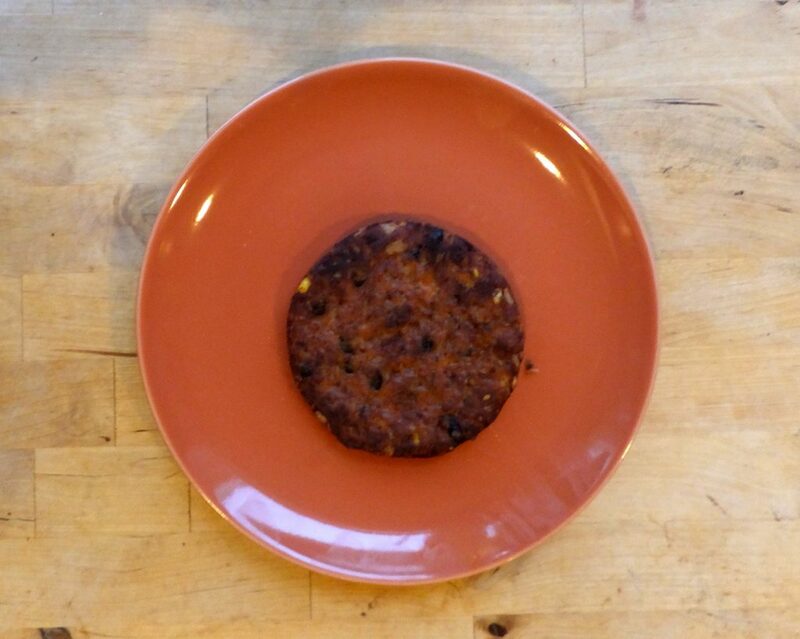 Who in their right mind would put three black beans on top of a black bean burger? Morning Star has recently switched up their packaging to these weird sideways pouches. They are less bulky than boxes but also can’t be recycled, shame shame! Random fact, did you know Morning Star is owned by Kellogg? Yay conglomerates! Morning Star’s burger is not vegan but notably does not contain instant coffee. 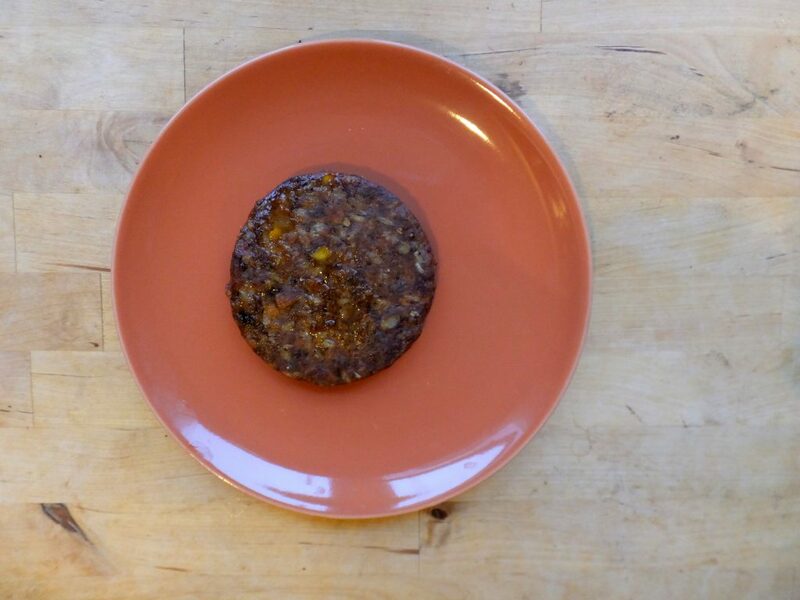 I would say this burger is a little more lively looking, perhaps thanks to the added caramel color. 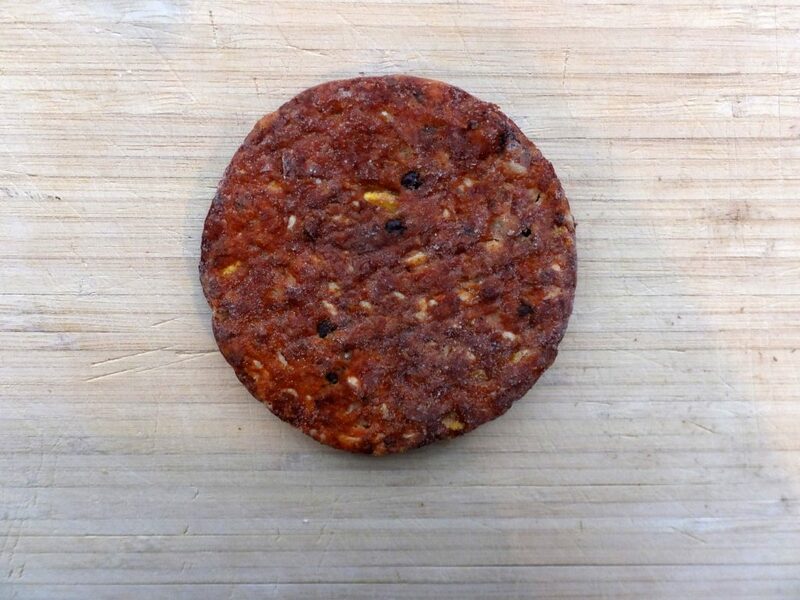 I sauteed the Morning Star burger up and immediately had a good feeling about it. Are food premonitions allowed? Because this burger and I are vibing. The outside is crispy and nicely differentiated from the inside. 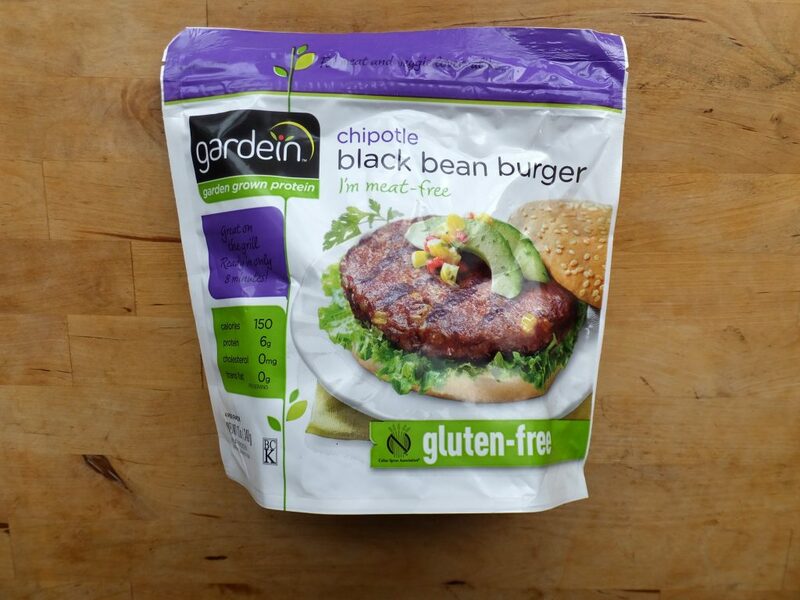 It’s less salty and spicy than the Gardein burger, but the flavors are more balanced including some sweetness. I also taste the diced tomatoes coming through, which for me is a plus. This tastes real, there isn’t any processed after-taste. I like this burger, while not as exciting as the burgers from the first battle, it gets the job done. Clearly Morning Star burger is what I prefer. The Gardein burger is too salty and the texture is boring. I would continue to the purchase the Morning Star burger, because it just gets me. 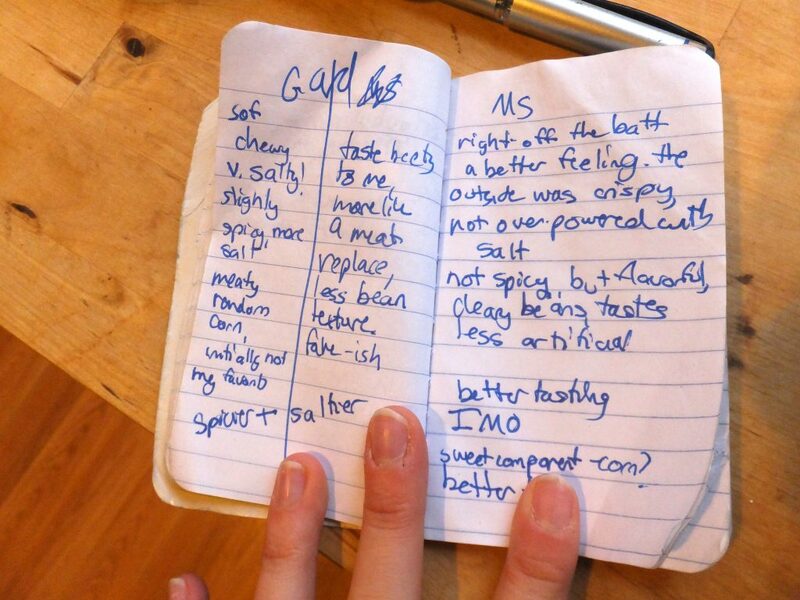 Here is how I kept track of my feelings.